In the world of structural design, deck for buildings is considered as a flat surface that is proficient of supporting weights, similarly to floors, but it is usually assembled outdoors. Decks are frequently lifted up from the grounds and are typically connected to a building. Its platform is constructed with the use of any kind of woods or timber usually from treated lumber, composite lumber, mahogany, ipe, and recycled planks. Entrance to decks is usually from the doors connected to the house or from the floor by the staircase. And for the purpose of additional design and safety to this area it is usually encircled with railings. 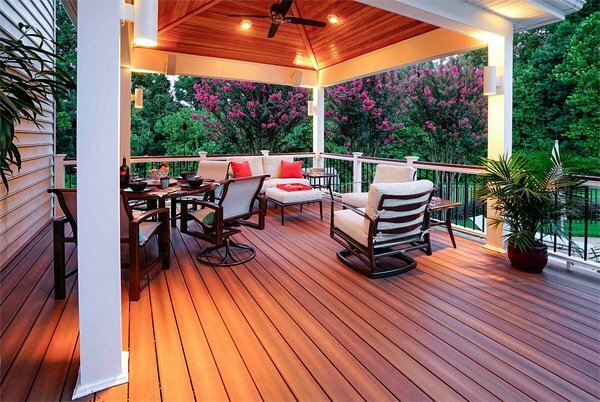 If you want a more stunning look of your homes, one great idea to have is to install decks. 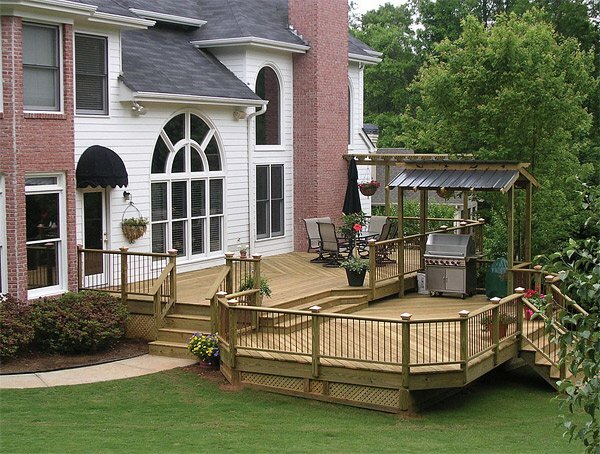 Decks can be added at many parts of your homes: backyard and front yard landscaping, extended living spaces, patio, and observation area for larger buildings. 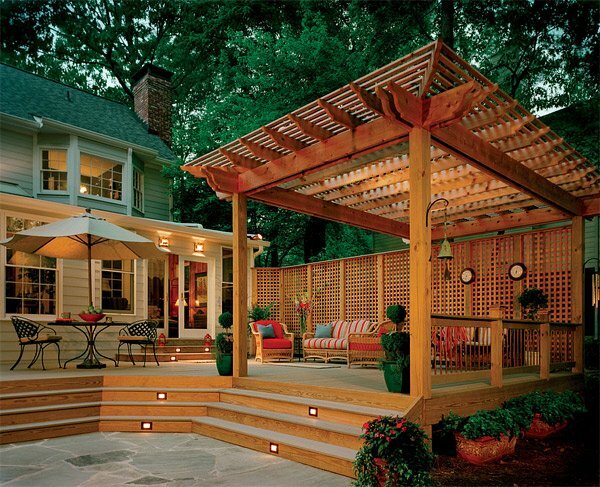 Of course, styles and designs of a deck can be boosted by adding up a canopy or pergola. 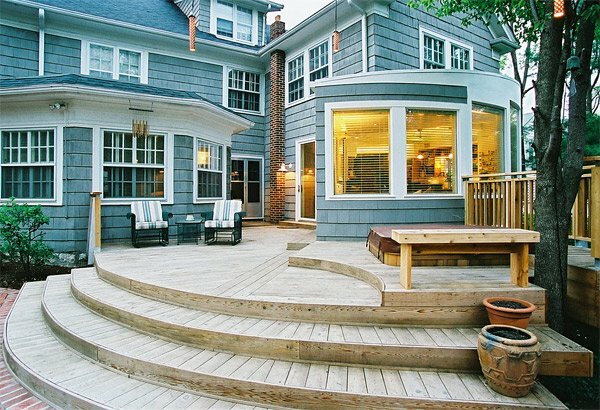 Moreover, deck designs comes in a numerous manner wherein such case you can design your own deck according to your taste. 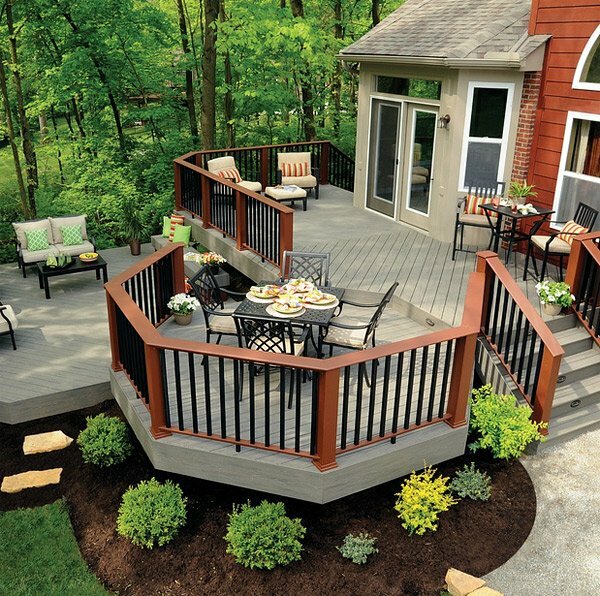 To have ideas on how to, try to take a peek on this collection of deck design we have gathered for you. 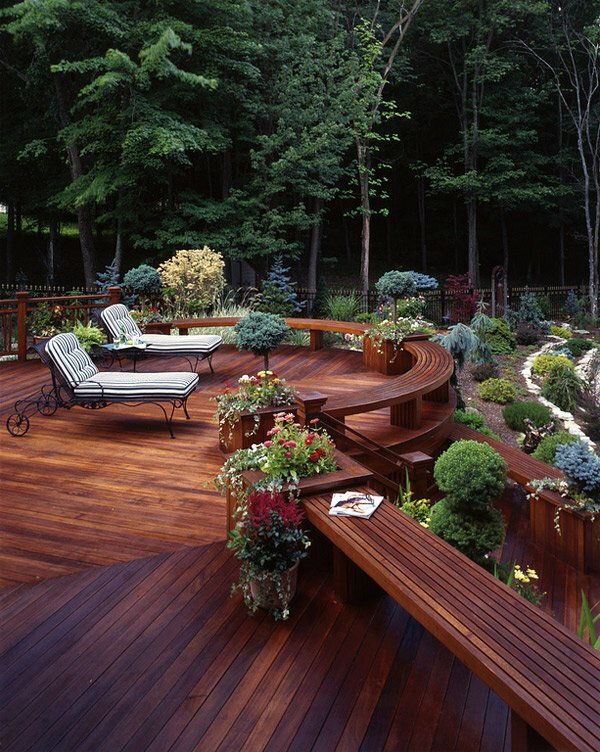 This deck shows an earthy atmosphere with the use of reddish-brown hardwood and the look of the tropical woods behind matches its design. 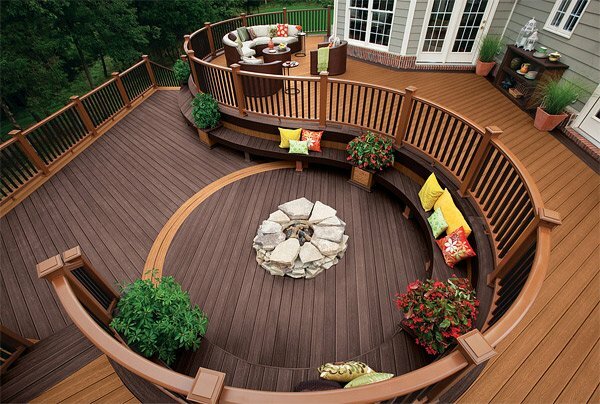 The elegant and unique design of this deck shows multi-level of simple lines with built-in benches that overlook the beauty afar. 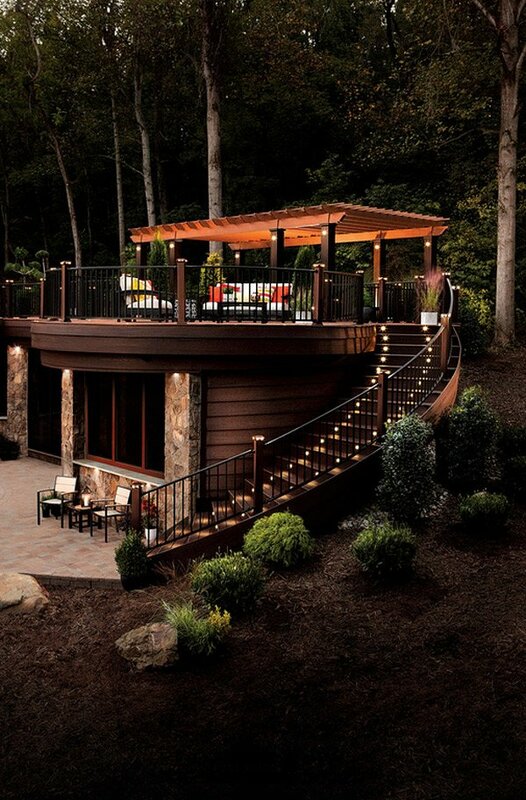 Of course, pergola can add a beautiful look to your decks. 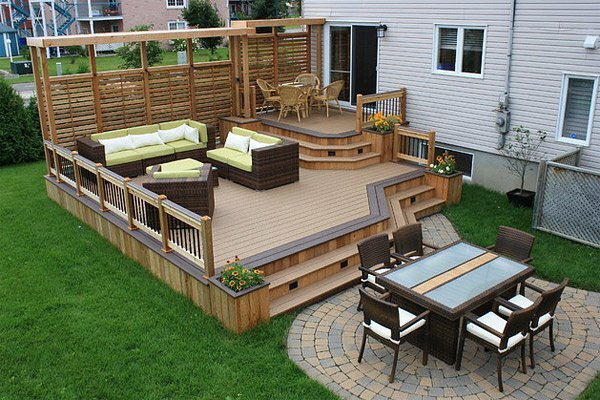 This timber decks has an eclectic design which will surely be a focal point for your outdoor design. 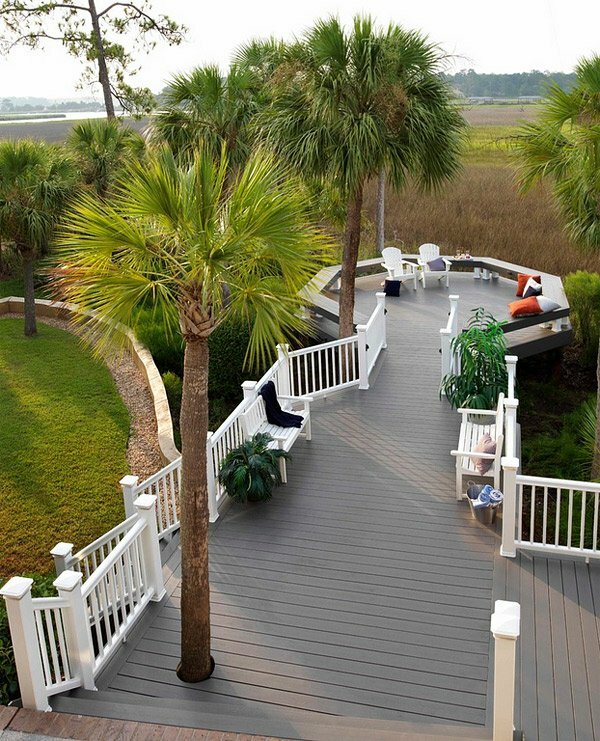 This deck features a warm color with the application of silver patina color on the ipe woods. 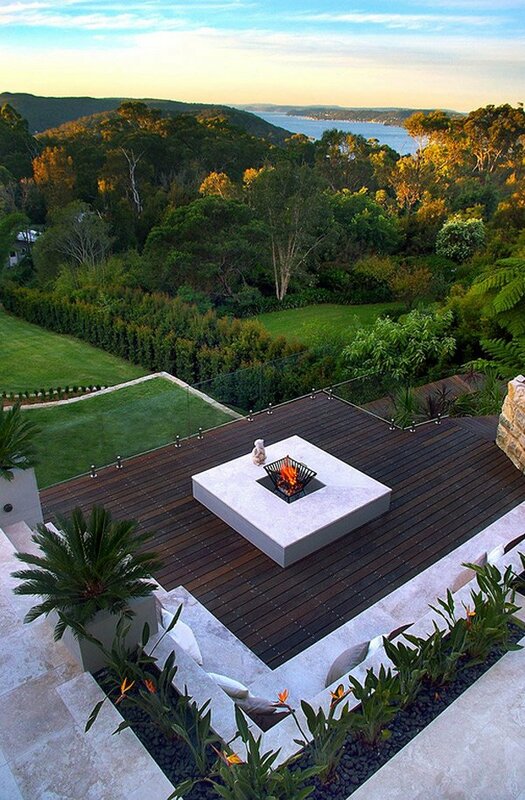 This deck is elevated wherein its view draws towards the garden. 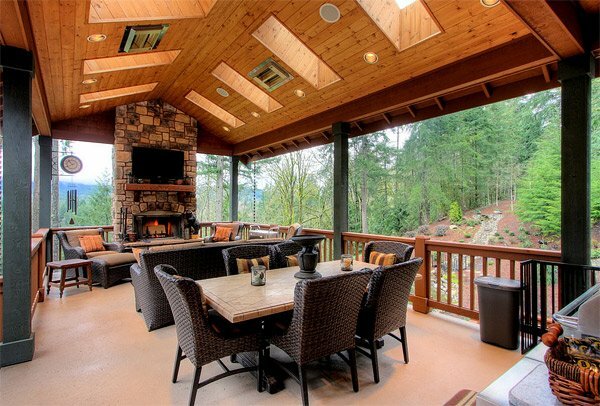 Timbers and woods really give a humid ambiance to any area in your living space. 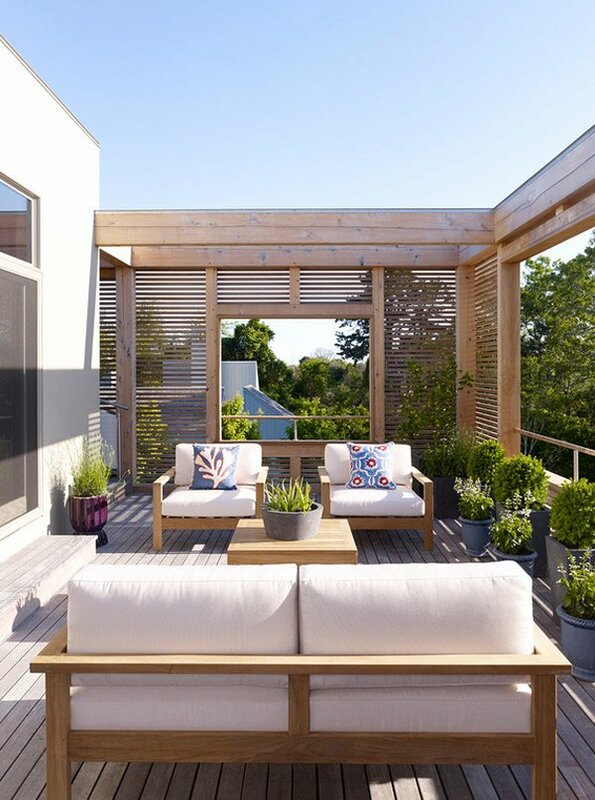 This terrace has a contemporary look with the use of unique style of furniture. 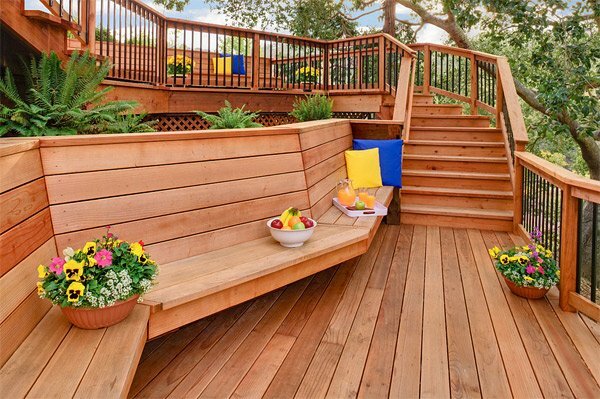 The application of woods for wall and deck is a very stylish idea. 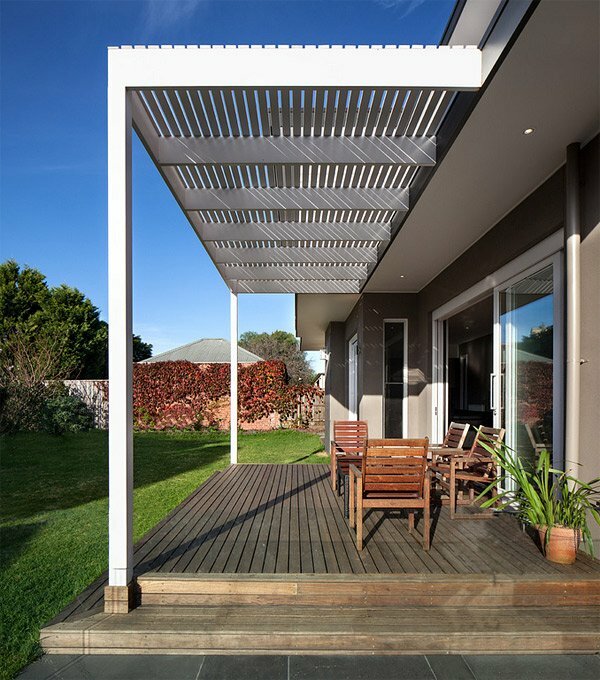 This is a simple design of decking in your verandas, but can also be an extended space for relaxation. Wow! This gets a superb design with the glass and the timber materials go along together. This is an awe-inspiring design! 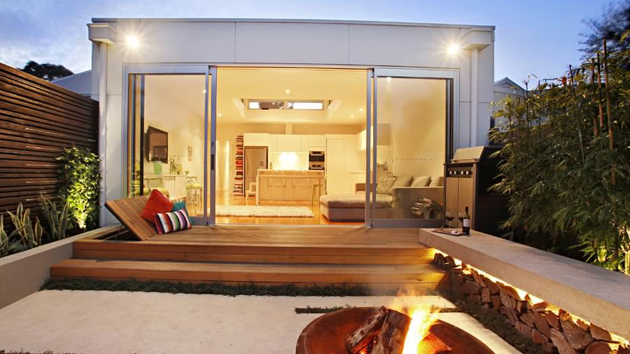 The bricks, iron railings and timber decking are just brilliant materials for this space. 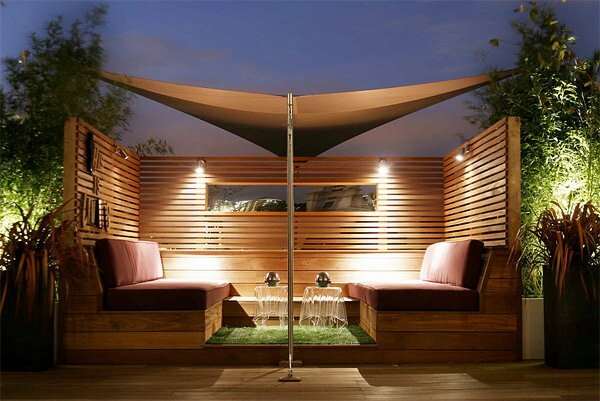 This is a two level covered timber deck which has built-in ceiling heaters for a more natural source of light. Timbers are all over the area giving an earthy brown tone which is very soothing to the eyes and gives a one-of-a kind design. What a nice feeling to relax here! The long structural design of the walkway gives a dramatic flow. 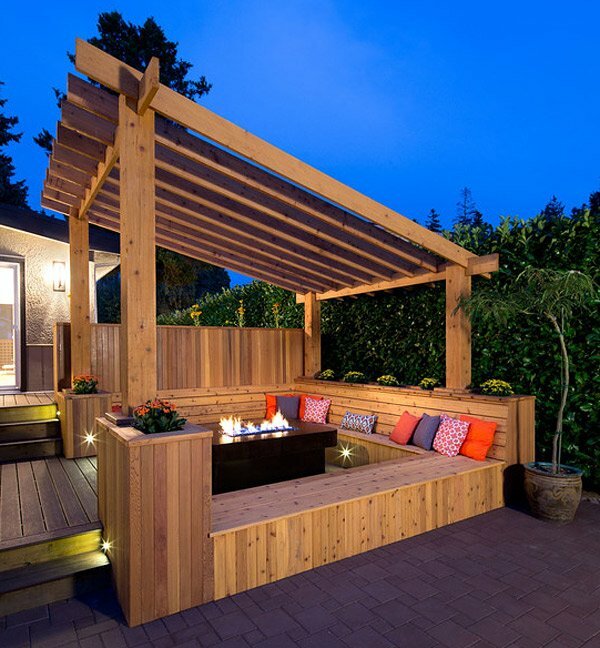 Wooden pergola is a perfect decor that can be added into a timber decking. 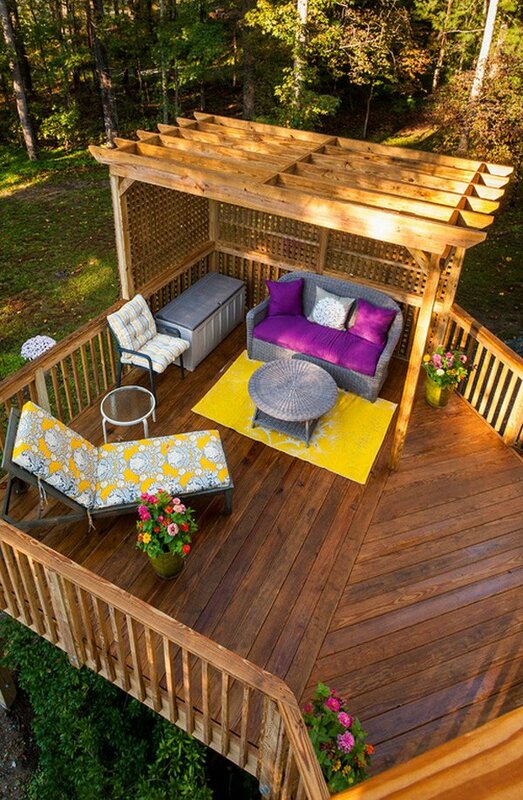 Outdoor spaces can always be an extension for your home activities and can be defined well by incorporating a wooden deck. There is just a different sense of feeling when you got to use wood for your outdoor spaces, may be it just blends well to the atmosphere of nature. 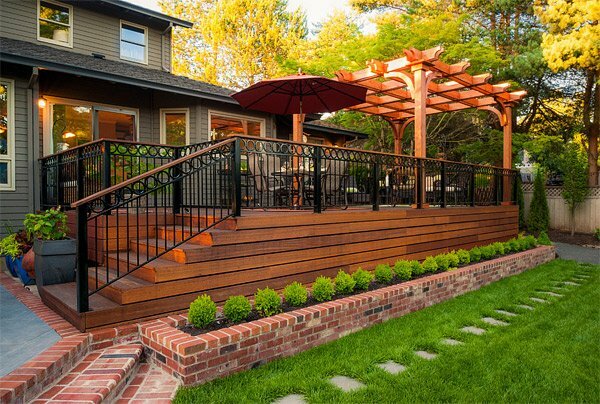 An elevated wooden deck can add a grand look when welcoming your guests. What an exciting space to have! I just can’t imagine how comfortable it is especially when you get to relax in the evening. This simple additional construction can serve a lot of functional purpose for your living spaces. And because woods and timbers are the primary material used it can even give a warm and earthy ambiance to your spaces wherein everybody can fully enjoy a soothing effect. 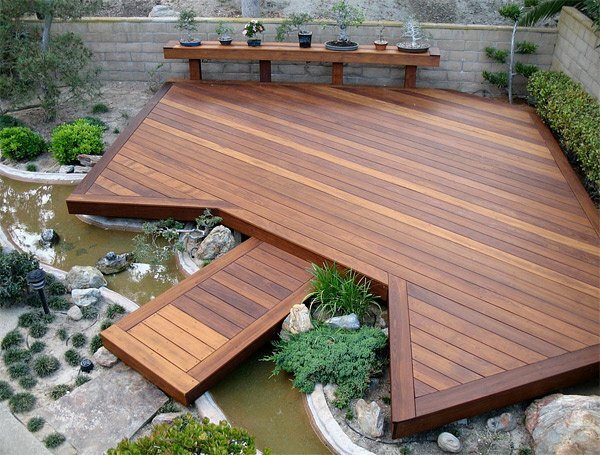 You can also try to incorporate timber decks on your pool areas for a more inviting destination in your living space.